Lucky You Blog Hop and St. Patrick's Day FREEBIES! I don't know about you but I've been feeling quite lucky and busy as of late. I just posted an Instagram Freebie and Giveaway Loop also called Get Lucky and now Layla from Fancy Free in 4th has organized a great blog hop called Lucky You! Whoo hoo! Get ready for some great bloggers and March FREEBIES! 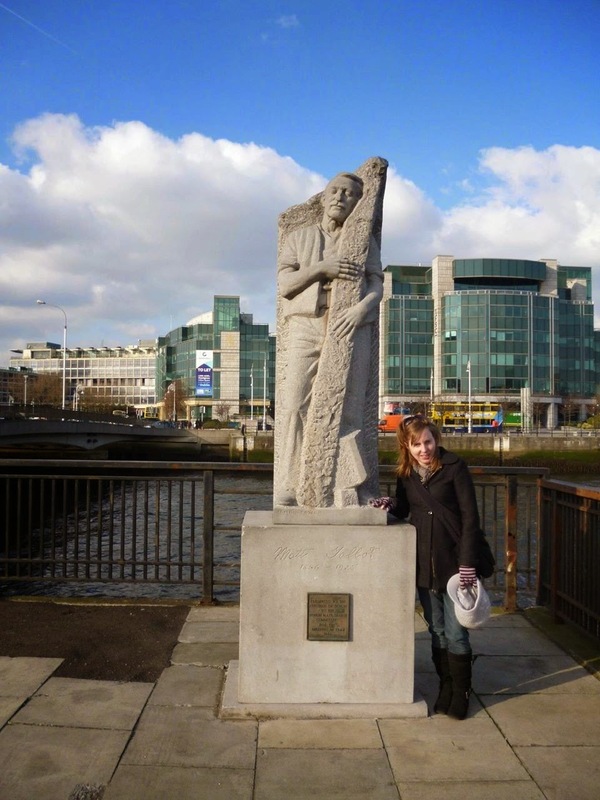 I'm really excited to share with you some pictures of me in Ireland, from a visit a few years back. Since I have Irish on both sides of my family and one of my grandfathers immigrated to the U.S. when he was twenty, I was thrilled to learn more about my ancestry through traveling there. I had the chance to go in 2012 and even got to see the statue for the Venerable Matt Talbot, a distant relative from my Mom's side, who is a candidate for Sainthood in the Catholic Church. There are so many beautiful and old castles in Ireland. I even went to Blarney Castle and kissed the stone. 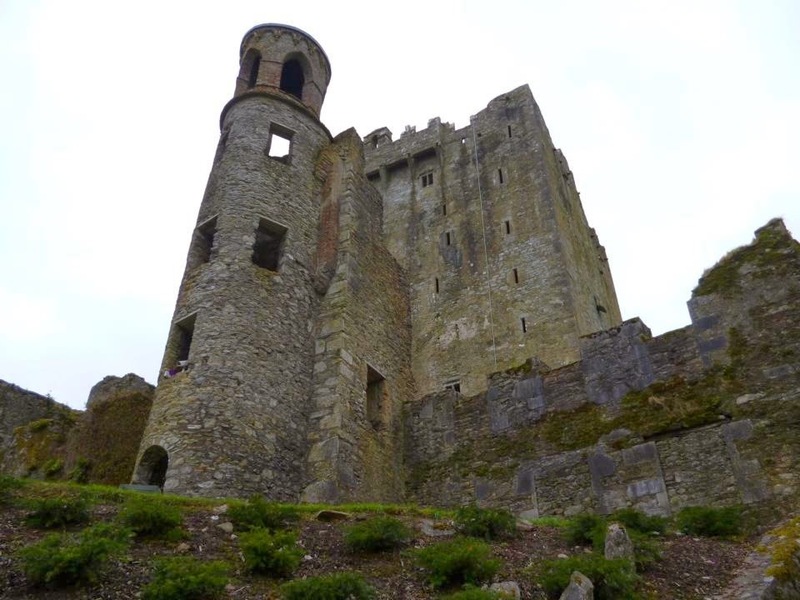 Imagine my surprise when I had to climb to the third story to find this Blarney Stone and be upside down to do it. I thought it was a large stone on the ground for some reason. Kudos to whoever came up with this silly tourist trap. At least the beautiful views from the top made it worth the stop. Legend has it that the tradition of kissing the stone will bring you the "gift of gab." As a teacher I am pretty sure talking a lot and trying to convince others to do something is one of our natural talents, but a little more help couldn't hurt. LOL. I also love sharing with my students all about St. Patrick's Day and some of the customs and traditions I grew up with. My heritage and classroom activities has inspired this FREEBIE, and the larger activity pack that this a sample is from. 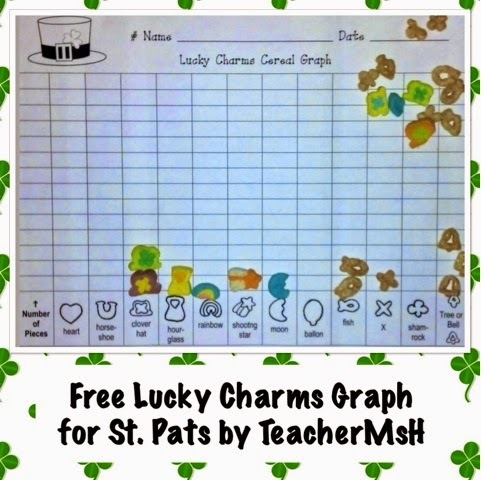 I I added the cereal pieces to make the activity more challenging for my students, and in the paid version there are additional math pages that accompany this graph using the totals found to add and subtract. I hope you enjoy using my creations in your classroom! I've also decided to do another giveaway here! 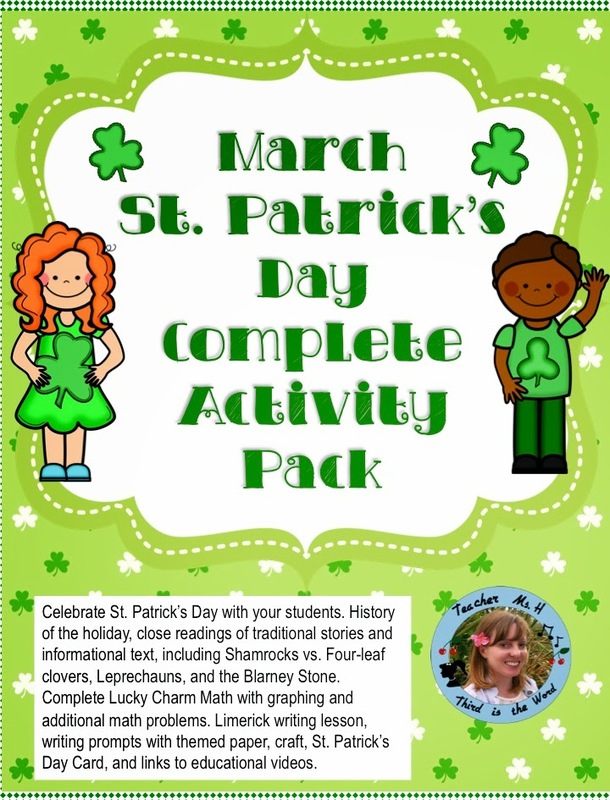 Using the Rafflecopter below you can enter to win my St. Patrick's Day Activity Pack, just by following my blog. I will announce the winners for this blog contest on March 17th, St. Patrick's Day. May the luck of the Irish be on your side! GIVEAWAY ENED 3/16/15 CONGRATULATIONS to Emily!!!! 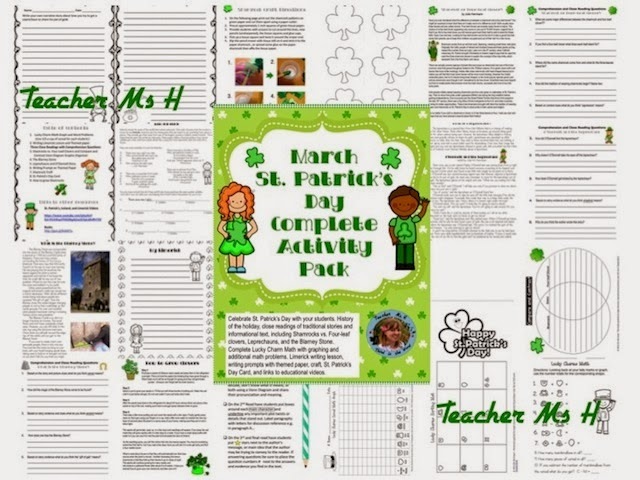 She has been emailed the St. Patrick's Day Complete Activity Pack, pictured above!!! Thank you to everyone who participated! I hope you check out the rest of the awesome teacher-bloggers in the hop. They have some awesome freebies! Up next is Katie at Rock and Teach. Just click this button to hop over!